A plan to erect as many as 65 giant wind turbines is generating fierce opposition, because the map for possible locations butts up to the urban and suburban areas of Belle River and Puce where most Lakeshore residents live. “It is a huge concern of mine, it just spoils everything,” Jacques Goulet, a Puce resident who is running for deputy mayor in the Oct. 27 municipal election, and is vowing to oppose any turbines located near developed areas. He said he has nothing against putting these massive windmills on farmland in less populated areas, but locating them near the growth areas in the northeast corner of the town will stifle future development and devalue the homes people have built in recent years. 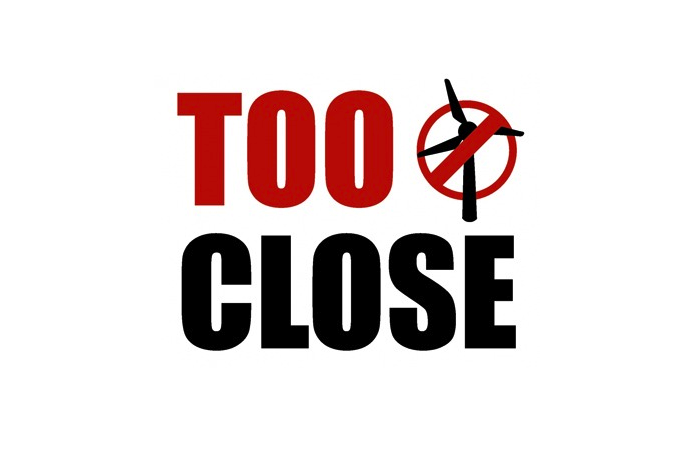 “Every single homeowner I talk to can’t stand the things,” he said, claiming that almost every one of the approximately 300 people who attended an open house this week – put on by the companies proposing the turbines – opposes them. Most of the land in the map is farmland between Highway 401 in the south to County Road 42 in the north. But the boundary also reaches further north in the Belle River and Puce areas, into subdivisions and along Notre Dame Street. Just east of Belle River, the boundary reaches right to the Lake St. Clair shoreline. The area goes all the way west to Manning Road. Continue reading about their concerns regarding property devaluation and their view being spoiled here…. How ignorant of you to think they are ok to inflict on us Jaques Goulet! As angry as I am with that statement, I would not have them inflicted on anyone! Not even you. One very angry rural Australian who is tired of having city people treat us as acceptable political road kill.